Mervyn Edward Griffin, Jr. (July 6, 1925—August 12, 2007) is best remembered as the creator of Jeopardy! and Wheel of Fortune, two of the longest-running and best-loved TV game shows of all time. He also hosted his own celebrated TV talk show for more than 20 years. At the time of his death, he was one of the wealthiest people in the entertainment industry, with a net worth of over $1 billion. Full Name: Mervyn Edward Griffin, Jr. Famous Quote: "If you make the customer a promise... make sure you deliver it." 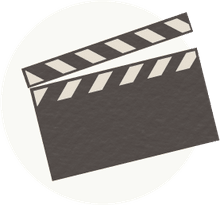 Born in San Mateo, California to stockbroker Mervyn Edward Griffin, Sr. and homemaker Rita Elizabeth Griffin, young Mervyn, Jr. started in entertainment at an early age. He sang in the church choir as a boy, and he earned money playing the organ during church services. Griffin graduated from San Mateo High School in 1942. During World War II, Griffin was found unqualified for military service under the 4F standard due to a heart murmur. At age 19, he began singing on the radio on the nationally syndicated show San Francisco Sketchbook. As a young man, he was overweight, and, according to his autobiography, live venues made an effort to disguise the size of his body. Resolved to deal with the issue, Griffin reportedly lost 80 pounds in only four months. Bandleader Freddy Martin invited Griffin to tour with his orchestra in the 1940s. Griffin agreed, and ultimately toured with Martin for four years. In 1945, Griffin put his earnings into creating his record label Panda Records. He used the label to release his album Songs By Merv Griffin. It is known as the first album recorded on magnetic tape. In 1950, Griffin's biggest success as a singer was released: "I've Got a Lovely Bunch of Coconuts" with the group Freddy Martin and His Orchestra. The song reached #1 on the pop chart and sold over three million copies. Griffin co-starred with Kathryn Grayson in the 1953 film So This Is Love, a biography of the singer Grace Moore, but he soon abandoned acting as a career path. Merv Griffin got his start in the world of TV game shows hosting Play Your Hunch, produced by Mark Goodson and Bill Todman. He hosted the show from 1958 until 1962. Popular as a host, Griffin frequently substituted for Bill Cullen on The Price Is Right and Bud Collyer on To Tell the Truth. In 1964, Merv Griffin created Jeopardy!, one of the most successful TV game shows of all time. In an interview, he said that his wife Julann came up with the idea of giving contestants answers and asking them to come up with the questions. He sold the idea to NBC without even creating a pilot episode. The original Jeopardy!, first titled What's the Question?, included Art Fleming as host and lasted 11 years until it ended in 1975. Griffin wrote the iconic 30-second loop of music that's played during the "Final Jeopardy" round. Later, the familiar tune became the basis for the theme song of Jeopardy! 's revival, hosted by Alex Trebek. After the first cancellation of Jeopardy!, Griffin produced a follow-up show called Wheel of Fortune based on the word puzzle Hangman. With Chuck Woolery as host, Wheel of Fortune was a success and continued as a daytime staple until 1991. In 1983, during the daytime run, an even more successful nighttime edition launched with Pat Sajak and Vanna White as the hosts. Griffin was involved in the music; he was responsible for the theme song "Changing Keys." After a failed revival of Jeopardy! that lasted only five months in 1978-1979, a new version with Alex Trebek as host began in 1984. It remains on the air and is successful in syndication after more than 30 years. Griffin also created a variety of shows that were not as successful as Jeopardy! and Wheel of Fortune, including a TV version of the board game Monopoly and Ruckus. Upon his retirement in 1986, he sold his production company Merv Griffin Enterprises to Columbia Pictures Television for $250 million. At the time, it was the largest amount of money paid for an entertainment company owned by a single person. In 1958, Jack Paar, host of The Tonight Show, stumbled onto the stage of Play Your Hunch during a taping. The famously interview-shy Paar stuck around and allowed Merv Griffin to interview him. The studio audience loved it. In 1962, when Jack Paar left The Tonight Show, Griffin was asked to step as one of several guest hosts by Paar himself. Griffin was widely recognized as the most successful guest host, and NBC rewarded his achievement with a live daytime talk show that launched later in 1962. However, the show was a ratings failure, and was quickly canceled in 1963. In 1965, Griffin launched a syndicated talk show titledThe Merv Griffin Show. It aired at various times on stations across North America. Some broadcast it in the daytime, others during primetime, and still others as a late-night competitor toThe Tonight Show. The show received strong ratings, and CBS offered a position in direct competition toThe Tonight Show, taking The Merv Griffin Show out of syndication. However, the new show was never able to take over first place in late-night ratings. CBS canceled The Merv Griffin Show in 1972, but it continued in syndication and as part of the Metromedia network of independent TV stations until 1986. During its 21 years on the air, The Merv Griffin Show received 21 Emmy Award nominations and won 12 times. Merv Griffin's conversational style was perfect for conducting the long, in-depth interviews he preferred. Often, he spoke with guests for 30 minutes or more. His guest list reads like a who's who of world VIPs from the 1960s, 1970s, and 1980s. Four U.S. presidents appeared on the show, as well as entertainment and sports icons like Judy Garland, Muhammad Ali, Whitney Houston, and Willie Mays. By the time he retired, Merv Griffin was considered one of the top talk show hosts of all time. Although he did not keep the fact of his wealth secret, Merv Griffin shared few details about his personal and business life. He married Juliann Wright in 1958, and they divorced in 1973. They had one child, Tony Griffin, born in 1959. Rumors about Griffin's sexuality followed him for much of his life. In 2005, he told the New York Times, "I tell everybody that I'm a quarter-sexual. I will do anything with anybody for a quarter." 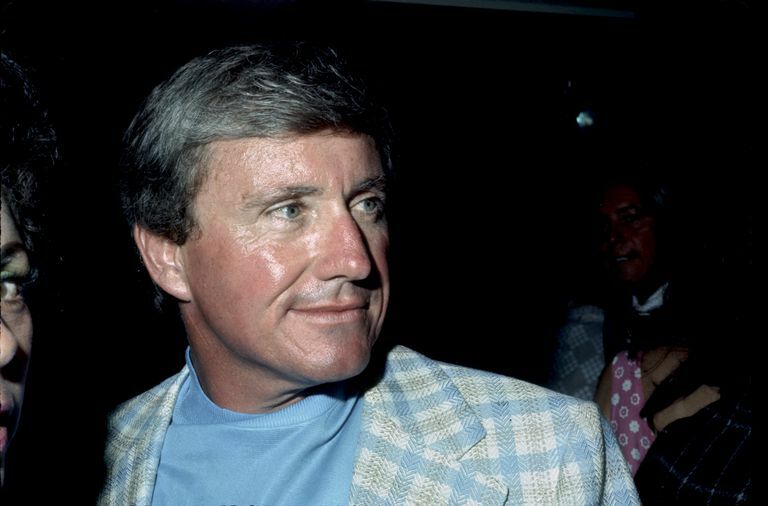 In addition to his success as operator of a TV production company, Merv Griffin expanded his business interests into real estate. He purchased the legendary Beverly Hilton Hotel in Beverly Hills, California in 1987 for over $100 million. His interest in the Resorts International, Inc. hotel and casino operator was not so successful. The company filed for bankruptcy protection and became involved in a complicated web of lawsuits and business failures. Late in his life, Griffin purchased multiple hotels. By the time of his death, estimates of his wealth ranged over $1 billion. He once told an interviewer that he didn't know the specifics of his net worth because it would "keep me from sleeping at night." In 1996, Griffin received treatment for prostate cancer. A decade later, the cancer returned; it was the primary cause of his death on August 12, 2007, at age 82. Griffin is buried in Westwood Village Memorial Park in Los Angeles, California. Griffin, Merv. From Where I Sit: Merv Griffin's Book of People. Arbor House, 1982. Griffin, Merv, and David Bender. Merv: Making the Good Life Last. Simon & Schuster, 2003.